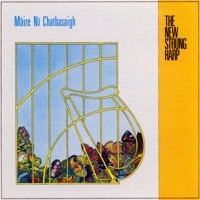 In 1985 Máire recorded the first harp album ever to concentrate on traditional Irish dance music - the culmination of many years spent developing an array of new techniques for the purpose, particularly in relation to ornamentation. Using her deep knowledge of the idiom of the living oral Irish tradition, she thus firmly re-established an authentically traditional style of harping. This album had such an extraordinary effect on the harp world that it has been described as "the most influential Irish harp album of the twentieth century: a single-handed reinvention of the harp". (a) Charles O'Conor (by Turlough O'Carolan) From John Mulholland "Collection of Ancient Irish Aires", Belfast 1810. The O'Conors of Belnpore in Co.Roscommon and the McDermotts Roe of Alderford, two ancient princely families, were Carolan's chief patrons. The O'Conors were directly descended from the last High Kings of Ireland. Charles O'Conor, for whom this piece was composed, was taught the harp by Carolan. He distinguished himself in later years as a scholar and antiquarian. (b) Father Hanly (Jig) - Also known as "The Rambler". Collected from Mrs. John Currie (Peigi Nill) of North Glendale in 1932 by Margaret fay Shaw, and published by her in her definitive volume "Folksong & Folklore of South Uist" (Routledge & Kegan Paul, London 1955). A song of lost love from South Uist in the Western Islands of Scotland. The poet conveys a sense of desolation which is entirely untainted by bitterness. Mo mhile beannachd gu brach leat..."
The Gaelic dialect of South Uist may, in the present performance, be slightly contaminated by that of West Cork! As well as harp I also play synthesiser here and sing lead and harmony vocals. My sister Nollaig and Mairead add their harmony voices and fiddle and whistle respectively. Thought to have been composed in honour of Judith, wife to John Maxwell-later Farnham of Farnham, Co. Cavan. The first of this pair of well known reels is to be found in Petrie, the second is from the repertoire of Micky Doherty of Co. Donegal. From Edward Bunting's "A General Collection of the Ancient Irish Music", London 1796. The meaning of the title is uncertain: it has been tentatively translated by Donal O'Sullivan in his authoritative edition of Bunting's work as "The Joyces' Country Greeting". Joyces' Country stretches out to the west of Lough Mask and Lough Corrib in Co. Galway. This majestic tune exhibits all of the stylish features of the most ancient stratum of Irish harp music. The associated words are of a quality vastly inferior to that of the melody, and appear to have added at a much later date. Published in Colm o Lochlainn's "Irish Street Ballads", Dublin 1939. O Lochlainn found the works in H. Halliday Sparling's "Irish Minstrelsy" and married them to a tune culled from Petrie's "Ancient Music of Ireland". Petrie collected it in Co. Derry in the summer of 1837. It is a variant of "The Dawning of the Day". Here I have overlaid an alto harmony and synthesiser to the lead vocal and harp. Nollaig sings the tenor line and plays the fiddle and Mairead sings soprano harmony. Our brother Greig sings bass. Two popular piping tunes. The insistent 'D' drone which accompanies the first of the pair is intended to suggest the drone of the Uilleann pipes. "Thainic me annso tar eis a ndeachas brid, chum bas d 'fhaghail is an mbaile fa dheire, mar a bhfuaras an chead fhoghlium agus an chead ghearran". (I have come here after all I have gone through to die at home at last, where I got my first schooling and my first horse). "she received him with tears, and after a minute's rest and taking a drop of the usual cordial, he called for the harp and played "Farewell to Music". It is interesting that Carolan, who throughout most of his life produced music which was so greatly influenced by the Italian baroque style fashionable at that time, should for his valedictory work leave us with a piece which, in its peculiarly Irish style of composition, harks back to the music of the harpers of an earlier age. I have accordingly arranged it in as spare a manner as possible. Nar chuir speis i girnatain..."
Who took no interest in hardship.."
"Is deas a chuir tu carta..."
"well did you play your card..."
Carolan's diapproval may possibly be attributed to the fact that his future son-in law was not only a member of what Carolan would certainly have regarded as an 'Army of Occupation', but a mere commoner to boot. A scion of a dispossessed old Irish noble family, however impoverished, would, without doubt, have been a more acceptable husband for his daughter. On this track Nollaig once again plays fiddle and I have added synthesiser. My thanks to Grainne Yeats for letting me loose in her library and putting a firm damper on flights of fancy, to say nothing of her unfailing kindness, advice and encouragement; and to Breandan Breatnach for putting his encyclopaedic knowledge of the provenance and nomenclature of the dance music at my disposal. Thanks also to Roisin Ni She, Allan Boyd, Sheila Murray and Chris Newman. Warning: copyright subsists in all Temple Recordings. Any unauthorised broadcasting. public performance, copying or re-recording of Temple Records in any manner whatsoever will constitute an infringement of such copyright. Licences for the use of records for public performance may be obtained from PPL Ltd, Ganton House, 14-22 Ganton St.. London WIV ILB.